What Is An Indoor Plant Service? Is your commercial or residential interior space looking a bit drab and in need of a boost? One of the best ways to give it a beautiful and refreshing flair is to add plants and foliage. Inside Plants provides the best indoor plant service to help you get started, and to maintain your plants in optimal condition on a monthly basis. In today’s society, people now spend much of their time indoors. In fact, with so much time spent travelling to work, confined in offices or living in apartments without gardens, the time people spend in nature or with anything green has increasingly been limited. However, trends in building architecture and design now acknowledge the need to address this. 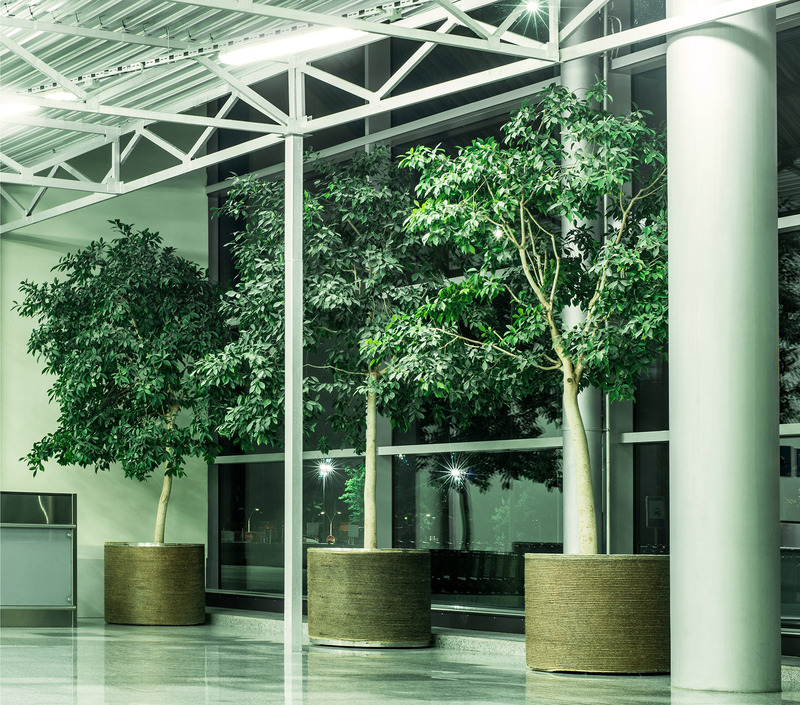 Increasingly, buildings are turning green with indoor plants being used to enhance and highlight a building’s or commercial space’s unique features. More importantly, plants have been shown to create a healthier environment by reducing stress for those in the building. Enhance and Highlight. 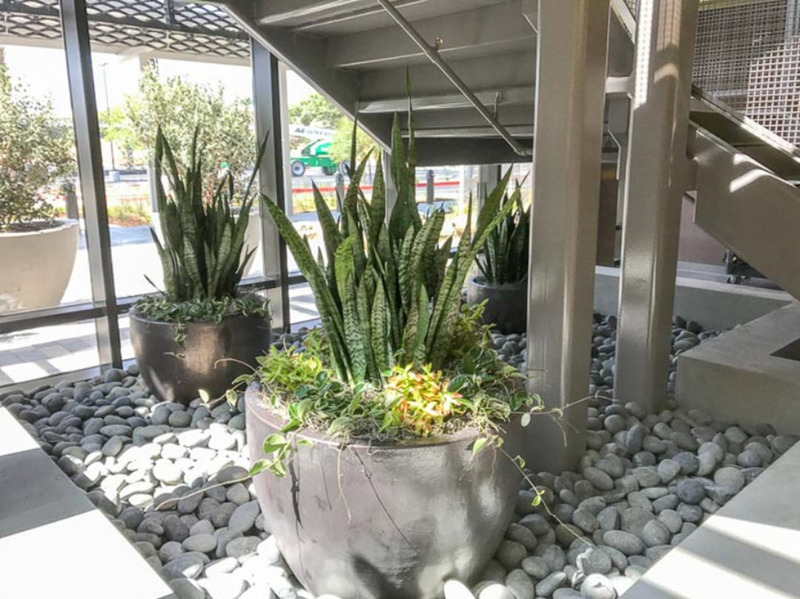 As already mentioned above, beautiful “plantscaping” enhances and highlights a building’s unique architectural features.Strategically placed plants can warm up a stark and cold space and create a welcoming and lasting first impression for visitors or tenants.They can soften sharp corners or brighten dark spots and bring life to empty walls.In malls or shopping areas, plants can be used to improve people’s shopping experience, making them linger on to enjoy the beautiful environment. Physical and Mental Health Benefits. Plants improve air quality by producing oxygen rich air while removing carbon dioxide from the environment. They have the ability to remove toxins and filter air.More importantly, it has been proven that people surrounded by nature are less stressed, more productive and are generally happier. Economic Benefits. 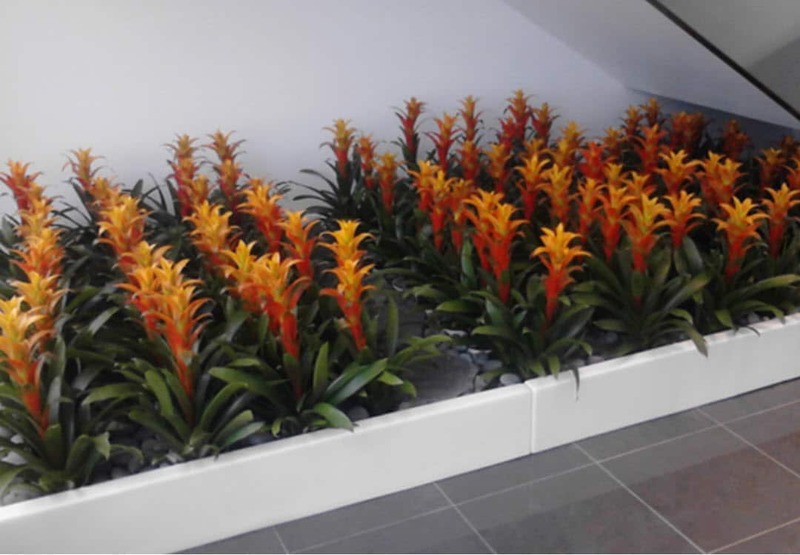 Beautifully designed and maintained plantscapes not only boost “appeal”, but they also attract more building tenants leading to higher occupancy rates, increased rentals and lower vacancies.Using the right plants and putting them in strategic locations can lower heating and cooling costs – by as much as 20%, while creating a healthier environment. Also known as vertical gardens, these are the hottest trend in the plantscaping. They are self-sufficient gardens that are attached to the exterior or interior of a building. Plants are rooted in a structural support that is fastened to a wall, and they receive water and nutrients from within this vertical support. 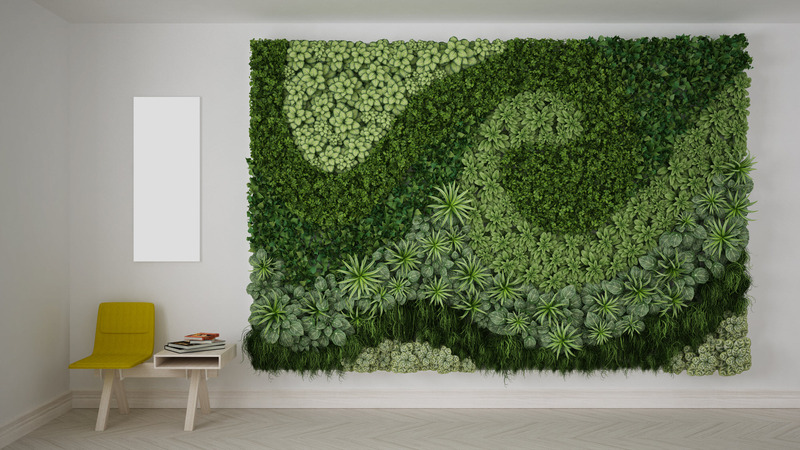 Living Green Walls – Why Install One? Wow Factor! They provide maximum impact and drama. Lush, green and creatively designed vertical gardens provide color, texture and incomparable stunning display. Workplace Productivity. Plants contribute greatly to making the workplace aesthetically pleasing. Studies reveal that offices with indoor foliage such as that in a green wall have employees with increased concentration and greater creativity and productivity. Better Air Quality. We’ve often heard of the “Sick Building Syndrome”. This is because most of the indoor air we inhale is stale, re-circulated air. In fact, indoor pollution is two to five times more than outdoor pollution. Living walls have the ability to absorb pollutants by producing fresh air while taking in carbon dioxide from the environment. Sustainability. Living walls can make a building more energy efficient. How? They provide a shield from strong sunlight during the hot summer months while providing protective insulation during the winter months. This means you reduce energy consumption and lessen your building’s carbon footprint. Similar to living walls for their aesthetic appeal, moss walls require little or no maintenance. They are a natural acoustic sound absorber and are also air purifying. These environment friendly installations do not require any sunlight, watering or pruning, and will retain their natural appearance and color for a long time. Trees in any setting are beautiful. Put them in an interior street scene, atrium or courtyard and they are bound to make an impressive impact. Best for large open spaces, they improve and soften any area they are planted in. Some examples of beautiful indoor trees that have high impact include fiddle leaf figs, ficus, umbrella trees, schefflera, and of course, palms. An indoor atrium garden becomes a unique focal point that brings sunlight and nature to the indoor environment. An indoor atrium is typically an enclosed area with a large skylight. The advantage of an indoor atrium is that you can grow more exotic tropical plants that might not otherwise thrive outdoors in your specific climate. Certain varieties of tropical plants and trees thrive in indoor atriums and can be used to create a serene, sun-kissed paradise you will cherish. Large planters with unique designs create visual impact and make an empty or drab space extraordinary. The type of plants you use can convey the kind of vibe or feel that you desire in your particular space. Using large planters lets you create an indoor landscape area to suit the mood you are trying to create, be it lush and tropical, colorful, a grouping of succulents, or neat and architectural. Colorful plants never fail to appeal to the senses and do much to brighten up indoor spaces. Most people do not expect colorful plants and flowers to be growing indoors, so the impact is always stunning. There are many indoor plants with colorful leaves. Some examples are croton with leaves in red tones and green tones, peacock plant (calathea) with leaves that are green/silver on the upper side, and red-purplish underneath, and the prayer plant (so called because the leaves close at night and open during the day) with red/brown markings on the leaves. And let’s not forget flowers: bromeliads whose flowers can be red, orange, yellow, purple, and white, clivia with white, yellow, and orange blooms, orchids of all colors, and hibiscus, to name a few. Interior plantscaping adds a distinct beauty to a building, commercial space or home. With careful consideration and purposeful arrangement of plants and foliage, you can create an environment that is welcoming and uniquely your own. What are the key factors to consider when designing the perfect plantscaping? Interiors of Your Space.To create a cohesive look, your interior landscaping should complement the design of your interiors. The plants and planters you choose should enhance, not clash, with your current design. The size of your space also has an impact of plant choice. Large, expansive spaces may be able to take in large indoor trees, for instance. Or if it’s for a small office, potted plants and floral arrangements may be better suited. Natural Lighting. The natural lighting that your building gets dictate the type of plants that you can bring into your space. Plants that are suited to their environment flourish. And when they flourish, they are also easier to maintain and keep beautiful. Budget. What does your budget allow? It is important to consider not only your budget for the initial installation but how much you are willing to spend on upkeep and maintenance of your plantscape. Design Interior Plantscape and Select Appropriate Plants. You can be sure that your interior plant design will be unique to your space. We consider all key factors mentioned above and put together a comprehensive and custom design for your specific plant needs. Most importantly, we listen to your vision as we create your perfect design.Our proposal comes with the option to purchase the plants and planters we have included in the package. Or you may pay a monthly rental fee.We also include the cost of maintenance to ensure that your plantscape stays beautiful. Delivery and Installation. With a clear plan in place, our highly skilled plant technicians will ensure that our vision for your home, office or commercial space becomes a beautiful reality. For your interior plant service needs, Inside Plants is the company to call; (951)371-4637 or (760)322-9909. Our team of expert plant technicians ensure that you are never caught with your plants down.